To start with, you need to have an account from BassPhone. Please visit their website to get a SIP account: www.bassphone.co.za. 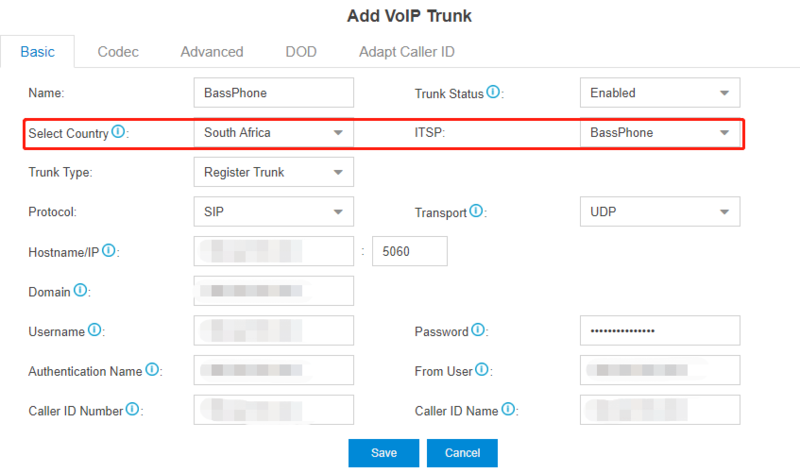 After you get the SIP trunk account, you need to add a SIP trunk in Yeastar S-Series VoIP PBX. In the new window, select South Africa from the “Select Country” drop-down list and select BassPhone from the “ITSP”. Username: your BassPhone Account username. Password: your BassPhone Account password. Caller ID Number: your BassPhone Account DID number. Member Trunks: select the BassPhone trunk. 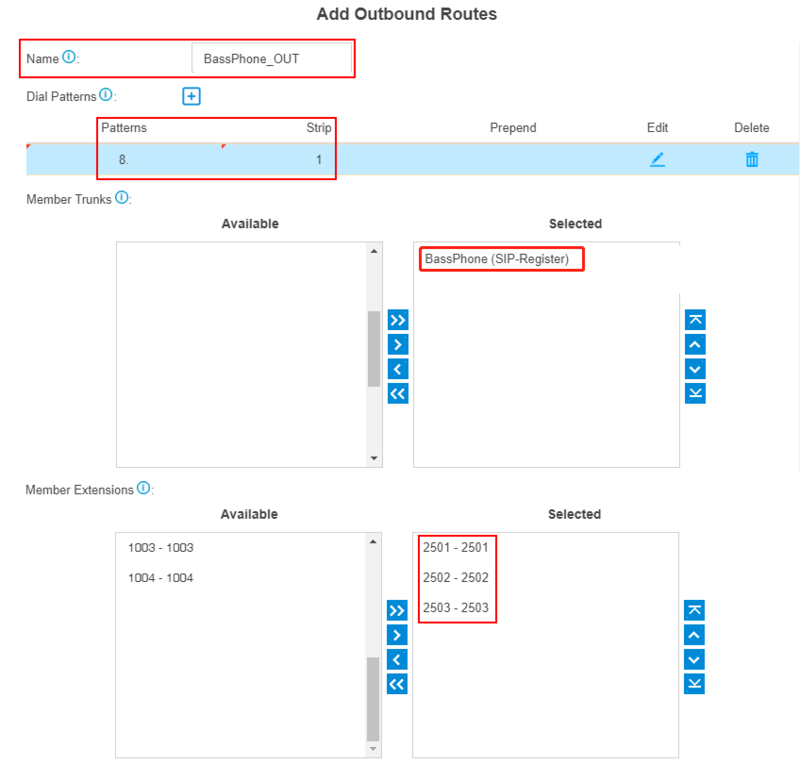 Now you can make outbound calls through the BassPhone trunk. As the dial patterns configured above, you need to dial “8” before the destination number. For example, to call the number “2701234567”, you need to dial “82701234567” on your phone. 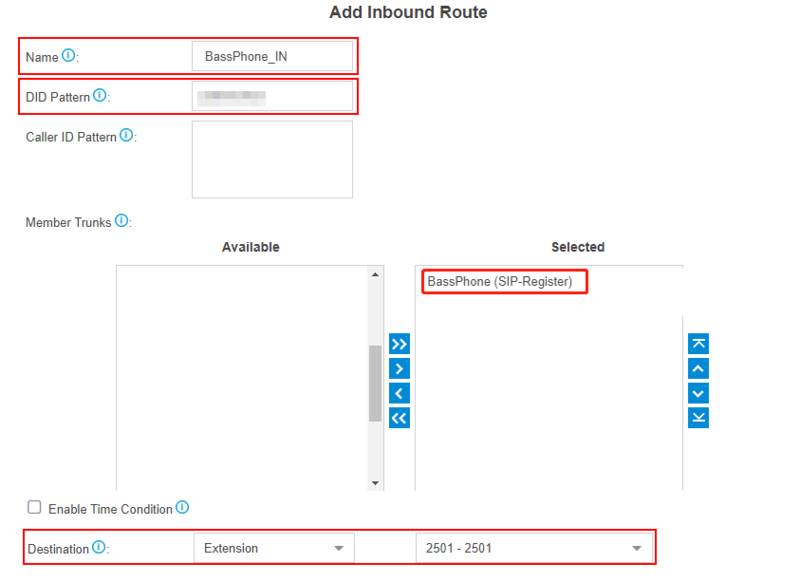 To specify how calls from the BassPhone trunk should be routed, you need to configure an inbound route for the SIP trunk. Member Trunks: choose the BassPhone trunk.